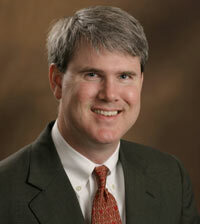 C. Wade Hyatt III, OD: Dr. Hyatt hails from Guntersville, a small town in northern Alabama. He spent his undergraduate years at Samford University in Birmingham, Alabama where he received his Bachelor of Science (BS) degree in 1988. He then went directly to the University Of Alabama School Of Optometry, also in Birmingham. Four years later, he received his Doctor of Optometry (OD) degree and then completed a one-year residency program at The Eye Foundation in Orlando, Florida. This program was a concentrated training program dealing exclusively with complex medical and surgical eye care. He moved to Nashville from Orlando in 1993 and entered into private practice in December of the same year. He partnered with Dr. Beem in 2002 to form Nashville Eye Group. Dr. Hyatt lives with his wife, Ginger, and his three sons (Sam, John and Will) in south Nashville. They are active members of Covenant Presbyterian Church where Dr. Hyatt serves as an elder. When he is not at the office conquering eye problems, you can find him spending time with Ginger and the boys. Dr. Martin enjoys traveling outside of the office and has completed medical mission trips to Thailand, Mexico, and Nicaragua. He currently lives in the Nations area of West Nashville. 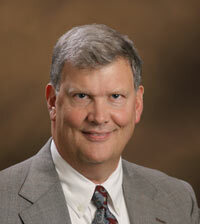 Greg M. Beem, OD: Greg Beem was born in Chicago, Illinois and moved to Nashville in 1957 at the age of 7. He graduated from John Overton High School in 1968, received his Bachelor of Science (BS) degree from the University of Tennessee at Knoxville in June of 1972 and his Doctor of Optometry (OD) degree from the Southern College of Optometry in June of 1976. He began his private practice with James Sloan, OD and continued this partnership through 1979, at which time he started his solo practice. Then in 2002, Dr. Beem teamed up with Dr. Hyatt and formed Nashville Eye Group. When not at the clinic, Dr. Beem enjoys fishing, hiking and hunting. He and his wife, Gayle, stay busy working on a house they purchased (along with 67 wooded acres) as a weekend getaway. Dr. Beem is the proud grandfather of 6 boys (boy, oh boy…oh, boy…oh, boy) who keep him “on the go all the time.” Dr. Beem enjoys primary eyecare and contact lenses.